Well, I'm here. After a whirlwind of a journey from Norway to New York, New York to California, California to Boston and Boston to New York, my saga continued to Reykjavik. 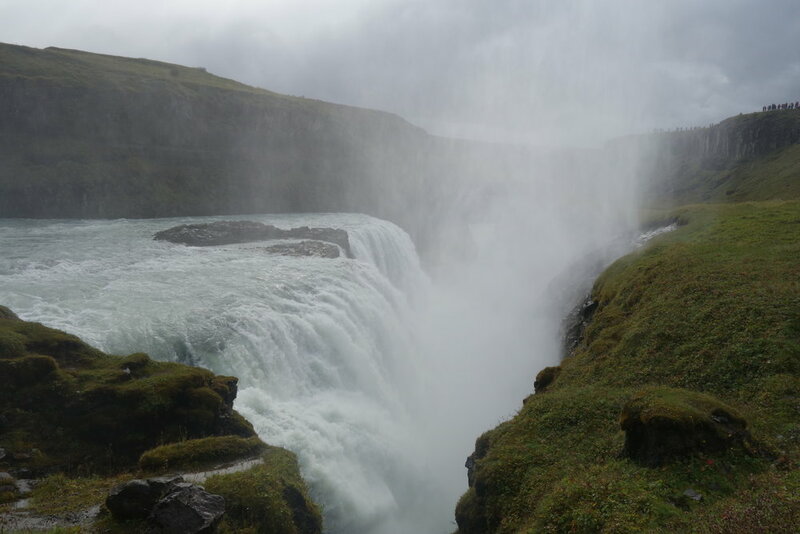 I spent the first week traveling around the country and exploring the natural resources and wonder of Iceland. 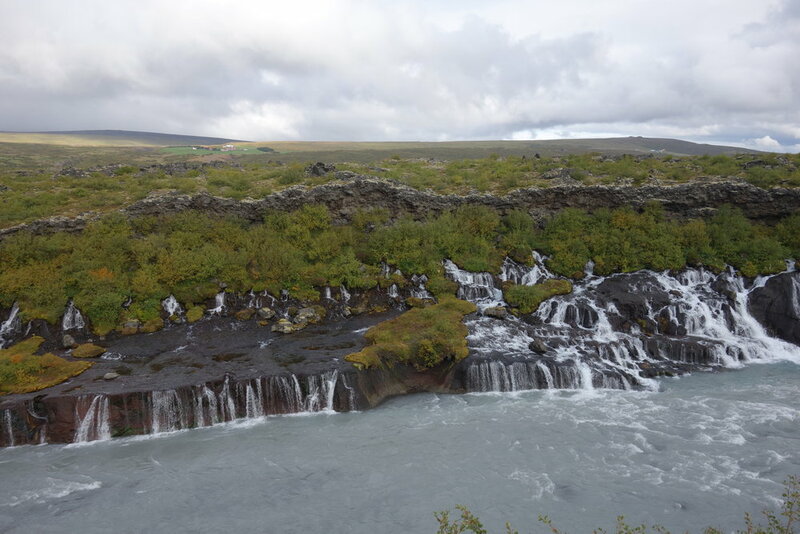 The land is full of bubbling, steaming, sizzling energy just a short layer under the dramatic, moss covered lava fields, ice caps, and otherworldly fjords. There is water everywhere; it melts down the mountains into thousands of little streams that weave down the mountains into the sea; it boils and steams in the flat earth of the highlands; and it cracks in shattering, powerful booms as the glacier melts and divides, floating down the mountains. I am fascinated by the constant parallel of hot and cold/ dry and wet/liquid and steam that surrounds me. I am inspired by the dramatic shifts in elements that each day presented. One day we were driving through green landscapes, the next we were surrounded by black lava and glaciers, and the next we were in a warm, red landscape with rising steam. Today, Tuesday, September 11th, I am sitting in the kitchen of my new, lovely home on the edge of the world. Seydisfjordur is on the eastern rim of Iceland, a 8.5 hour drive from Reykjavik, and inherently isolated from the quickly developing, universal food and arts culture of the city. In Reykjavik, leaders in culture are making a very intentional effort to propel the nation into the 21st century, but here, the problems, trends and concerns of society feel insignificant. 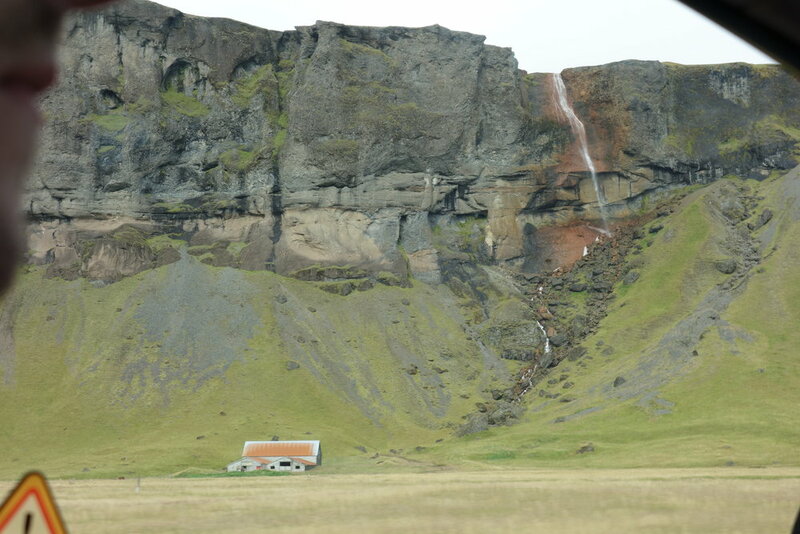 The town, “Seydis” as it is called by locals, is at the end of a long, winding road that weaves over the green fjords that trickle with hundreds of waterfalls and roaming sheep. This road is the only thing connecting us to the rest of Iceland, which feels significant. The isolation of the city is not missed by the people who live here; there is a community of German, English and Scandinavian artists and dreamers, who are temporary residents here. They escape to Seydisfjordur for three months in the summer, for a year, for two, before returning to whence they came- thus making this place even more separate from the very real realities of the outside world. Here, time stops and the obstacles that stand in-between you and an idea become surmountable. 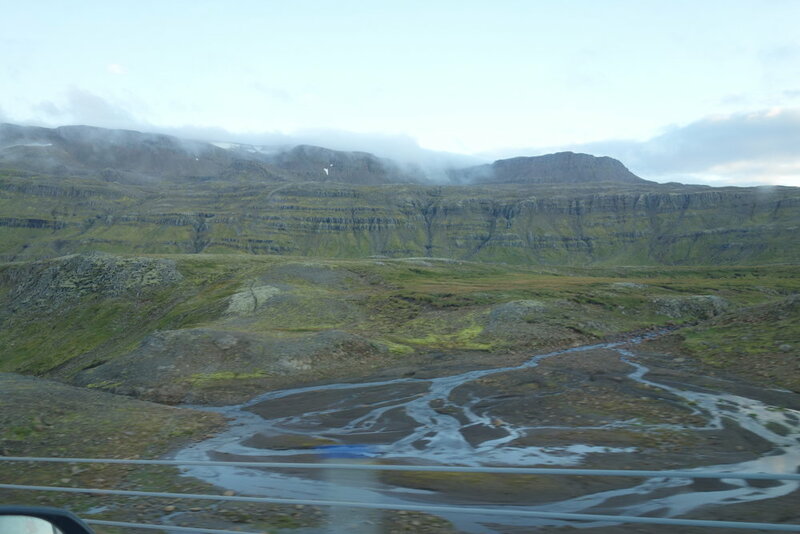 The road the leads into town and continues on for 27 km, weaving through the desolate fjords. Every day a boat comes in to the port, bringing with it tourists or a shipment of goods. HIEMA, our residency house with attached studio/gallery space. I can’t think of a better place to paint, and I am sad that I left my paints at home. Instead, I plan to turn towards the abundant resources that surround me. I packed one, small carry on bag for my trip, bringing with me to following: 1 small portable watercolor set, 2 notebooks (big and pocket sized), 3 “The Power of Place” (Winifred Gallagher), “Salt: A World History” (Mark Kurlansky), “The Short and Tragic Life of Robert Peace” (Jeff Hobbs), knitting needles and yarn, Rain boots, Hiking boots, 3 pairs of pants / shirts, 1 winter jacket / light rain jacket, warm socks/hat/gloves, laptop/ipad/stylist. I have spent my days here walking through town and the mountains surrounding it, with my sketchbook in my pocket and an open mind. What I am most interested in here is the raw power and hostility of the country; Iceland feels like a place humans were never meant to live. 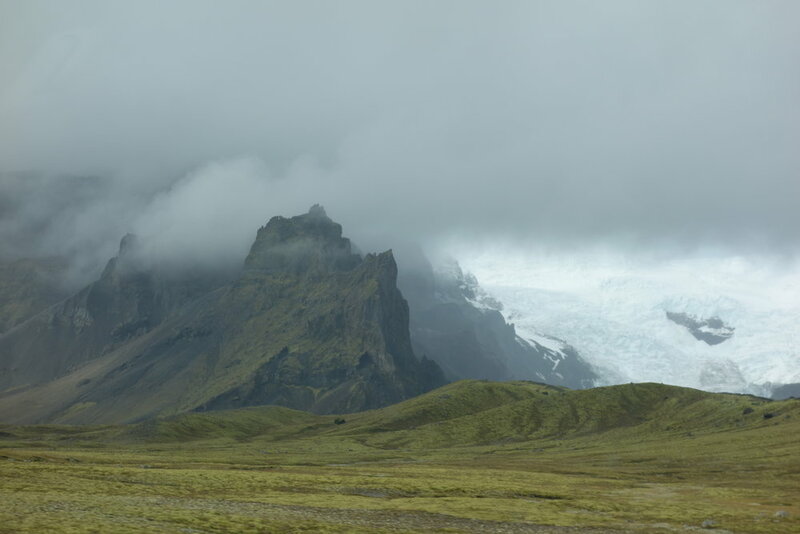 The land produces very little agriculture, as it is volcanic and the climate is so cold. Instead, there is fish from the sea and yogurt from cows. Tomatoes and cucumbers are grown in green houses around the country. Other then that, almost everything is imported. Downtown Seydisfjordur sits fully surrounded by mountains, sometimes I forget how tall they actually are due to the layer of clouds that hovers over us. 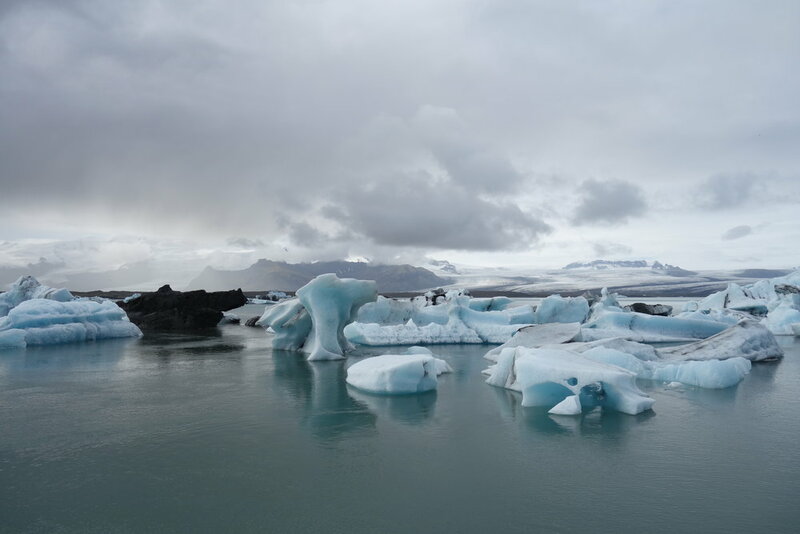 Because of this scarcity, the food traditions in Iceland date back hundreds of years, to a time when vikings lived off preserved fish and oils. Here, in the east, the food traditions are wrapped up in slow cooking. Fish is left to dry for months, naturally preserved in the salty air, before it is reheated and served with butter. Just two hours to the West of me, the earth is used to cook bread and lamb. Just a few feet under ground, the earth reaches temperatures that will slow cook lamb and bread in under a day. In some geothermal streams, you can boil pots of water and cook using the land as a stovetop and oven. To the east, dairy farms sit under the glaciers, producing the traditional Skyr cheese, where looks and tastes like a yogurt. Here, the geography demands that you live close to the land, but at the same time, very little can be produced. I am interested in the constant stain of heat and cold, the division of the country into different elements; heat, ice, water and salt. I have been thinking a lot about how I can harvest these different traits to find nourishment.